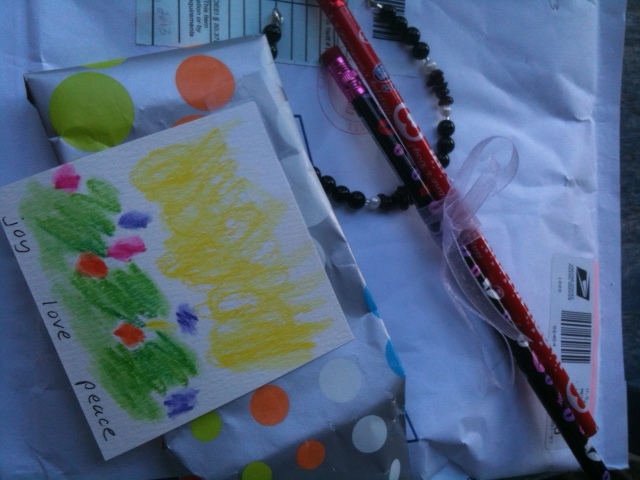 How amazing to see the tiny gifts I wrapped and sent to my friend in Sydney, Australia unwrapped on the other side of the world. All the way from Massachusetts to Sydney for about $5. USPS: Any time you need a poster child, I am she. This entry was posted in Australia, birthdays, Post Office on February 13, 2013 by Mary Ann.